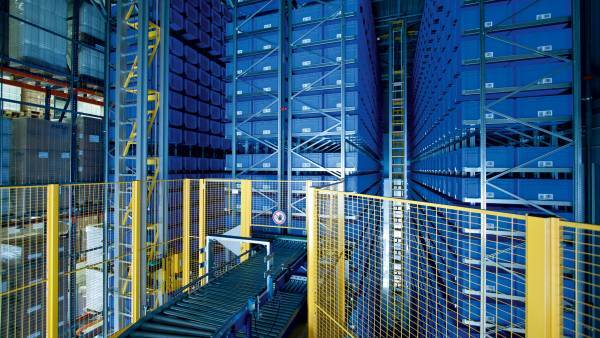 The pallet warehouse system acts primarily as a buffer for the replenishment of the picking station. Design and dimensioning is accomplished according to specific requirements in consideration of the required loading aids as well as the desired throughput. 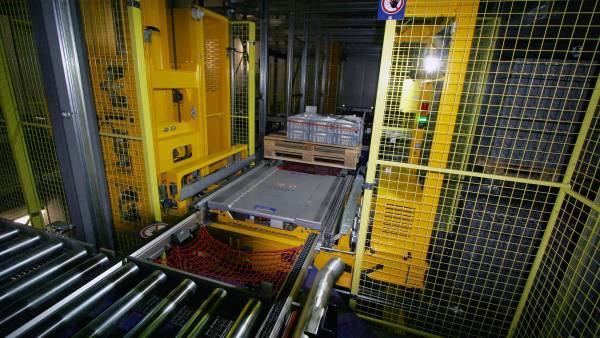 The core element of the pallet conveying system solutions from Stöcklin Logistics are the modular designed stacker cranes of the MASTer series for fully automatic handling of industrial pallets, pallet cages, special load carriers and larger packing units in pallet racks at heights of up to 45 meters. Highly dynamic carriages combined with modular design guarantee maximum performance and high availability. 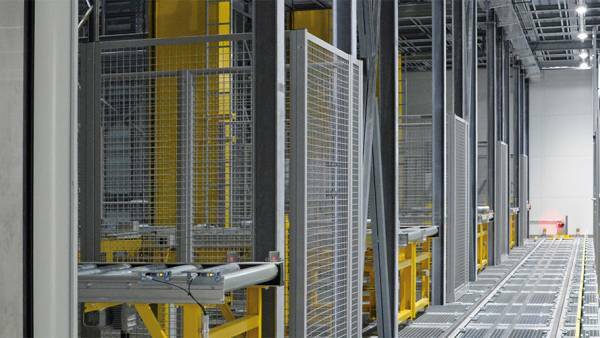 Manually controlled stacker cranes for high racks are particularly suitable for companies with a low flow of goods and simple infrastructure. This is distinguished by its high flexibility and minimum space requirement as well as attractive investment costs. 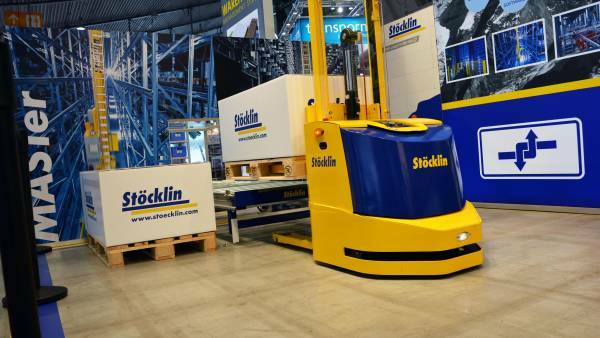 For intra-company material flow, Stöcklin offers a conveyor system capable of moving pallets and other load carriers efficiently and reliably in the horizontal and vertical direction. This conveying equipment with its modular design and capability of expansion at any time forms an important link between production, storage and picking zones and is decisive for quick and reliable operating processes. 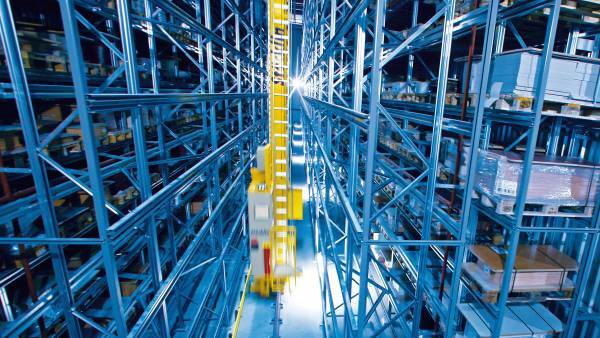 Directly at picking station in conveying system.